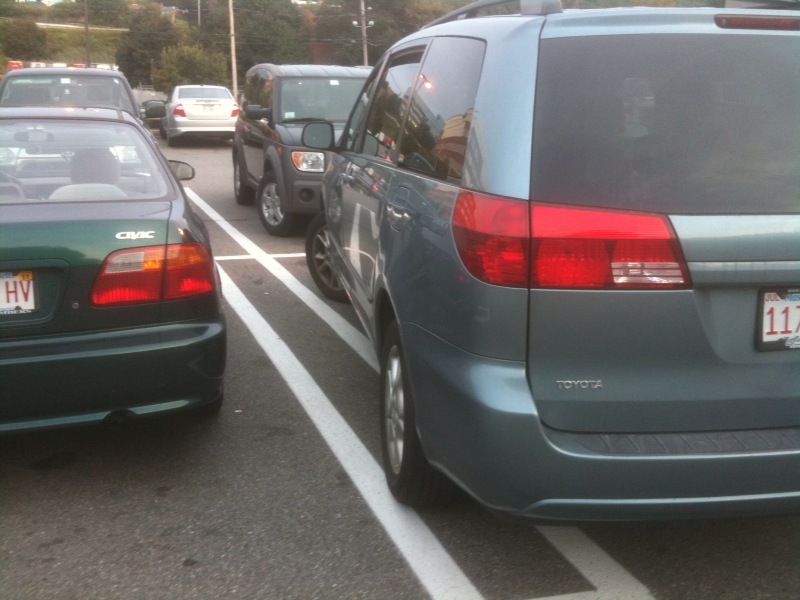 I ask: If you had parked so horribly, wouldn’t you pull out and right yourself? I mean, even after you had gotten out of your car and seen that you were over the line? And especially if you saw how close you were to another car … a car that could very easily back up and hit your own car? Thankfully, I was able to maneuver out of my spot easily, but I was still annoyed. This was not an unusual sight at Costco either, and it’s worse because of all the SUVs and minivans that are often parked at extreme angles. It’d be one thing if it was all Civics or other small cars like that, but these are large vehicles and they really do get in the way. So with this in mind, I thought I’d conduct a short, anonymous survey. Do you know how to park a car? Click here to answer two really quick questions and let me know. I’ll share the results in a future blog post, but I’ll see for myself when I’m out driving around.